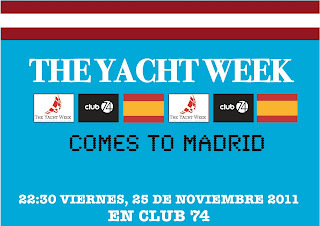 La Sirena Madrileña: THE YACHT WEEK in MADRID! 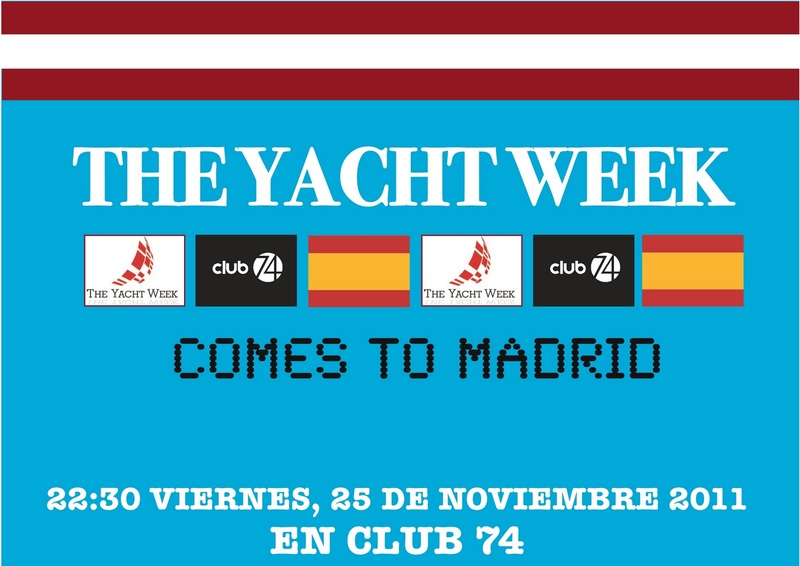 THE YACHT WEEK in MADRID! La Sirena Madrileña apologizes for her absence in the past few weeks. 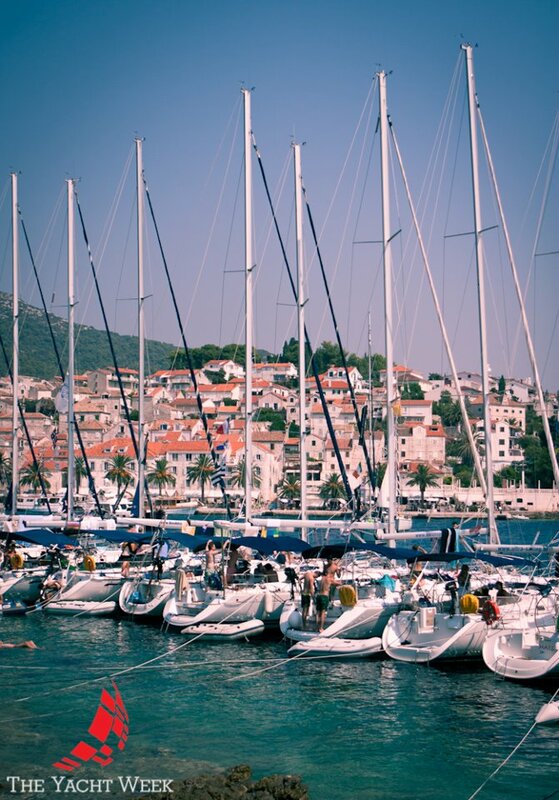 She was found partaking in diplomatic relations as the ambassador of Spain, along the shores of the newly discovered country, The Yacht Week where she has been organizing an event that will be happening today in the animated capital of Spain. Along side Luis Enrique Caballero, the country manager of Spain, both hope the event will inflict a spirit within those to come visit the Yacht Week this summer. Let´s see what she has to say! 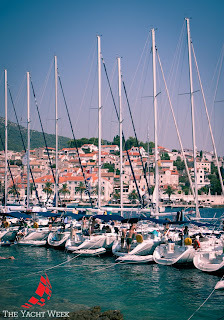 From the sea to the city, from the summer to the winter, from the bathing suits to the scarves, coats, and high heels...Today a wave of Yacht Week has hit the city...reminding us that the spirit of the fun sailing experience is kept alive throughout the year. This very spirit is kept alive with the the launch parties that promote the release of the new dates for the Summer of 2012. Today, November 25, 2011 marks an epic date for the launch party here in Madrid. 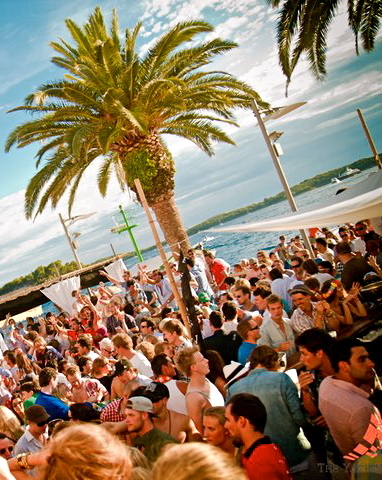 When: 10:30-1:30 DO NOT BE LATE! 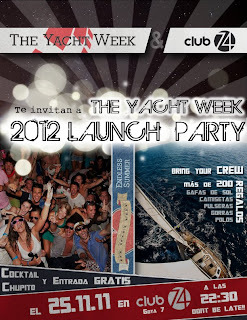 Why: It´s Friday, it´s going to be fun, it´s a party, it´s The Yacht Week. 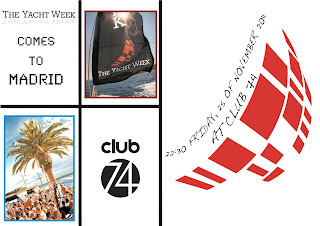 Join the event in Facebook:The Yacht Week Launch Party @ Club 74!! 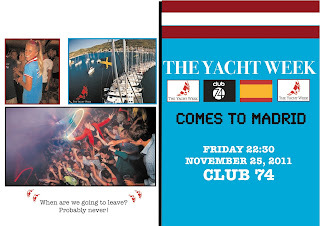 Invitation open to all who are willing to have an EXTREMELY good time.